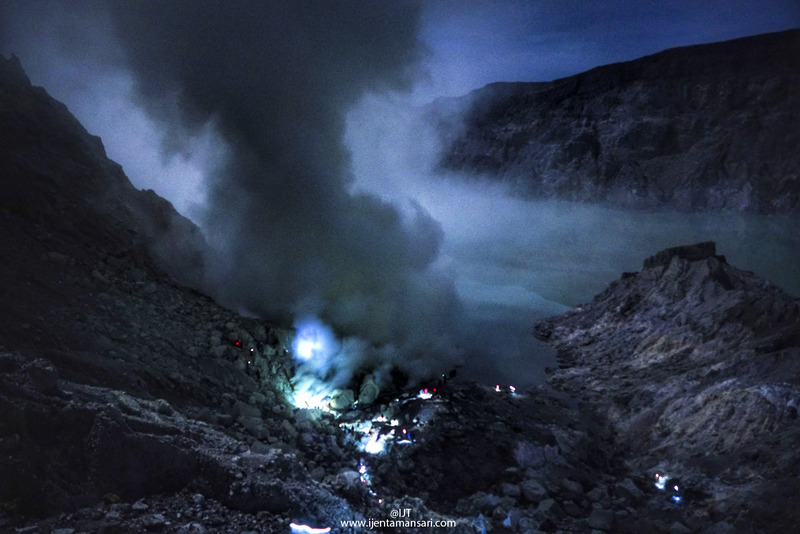 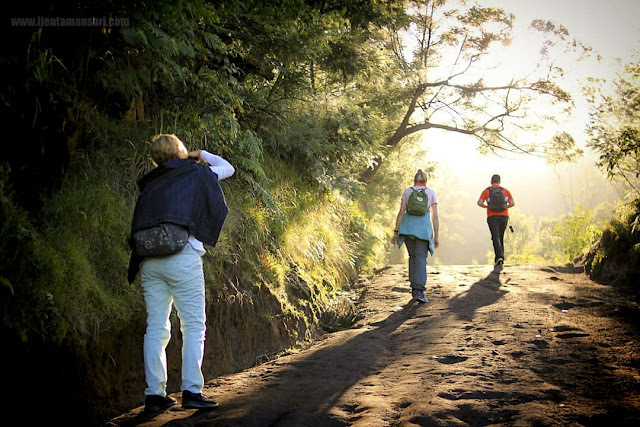 Mount Ijen is one of most beautiful volcano in java island, Banyuwangi East Java, everyday there is always a lot filled of foreign tourist and domestic tourist to enjoy and see directly natural phenomenon the Blue Fire, it should to know, Blue Fire bursts in Ijen are ono of two locations in the world besides iceland. 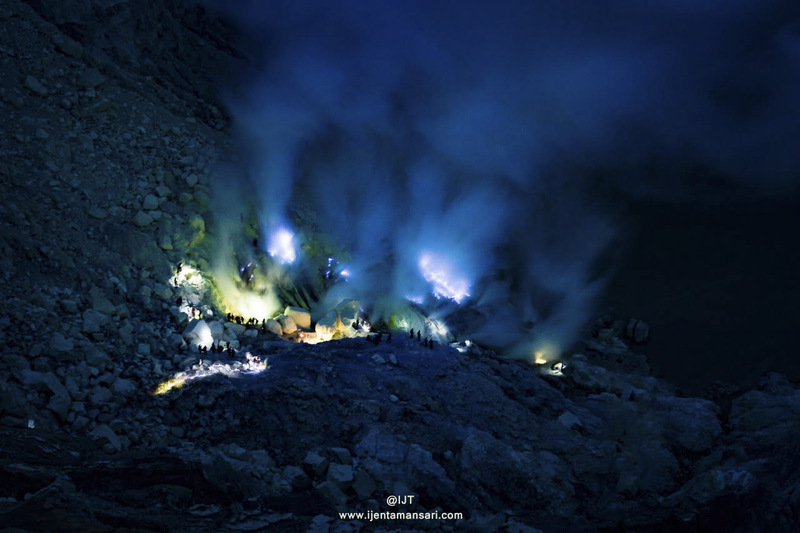 The best time for tourists to enjoy the blue fire at arround 01.00 A.m - 04.30 A.m, because not all time can see the Blue Fire. 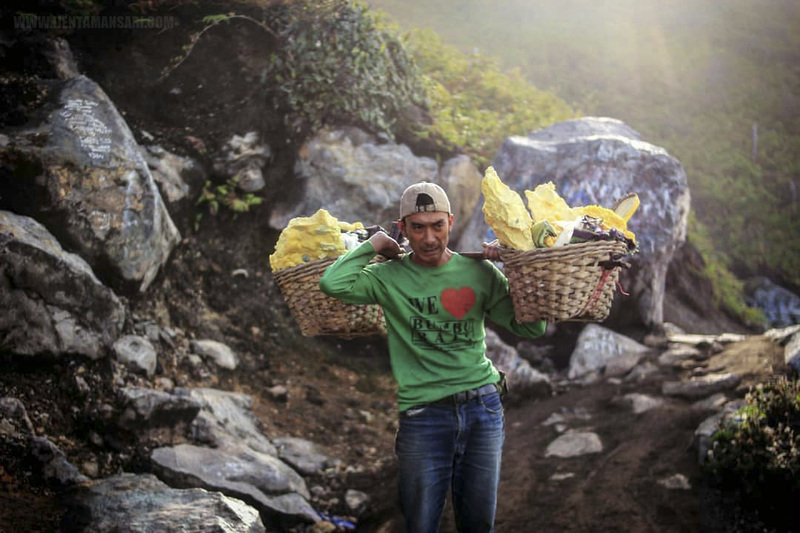 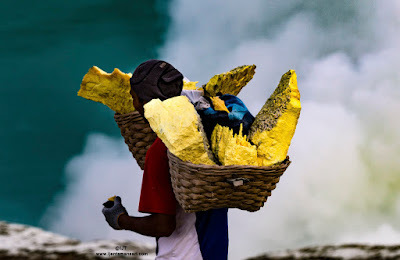 Mount Ijen has height 2.386 Mdpl, 20 km wide the caldera, about 200 Miners work in mount Ijen java, they are everyday looking for the sulphur inside the crater, carried the sulphur until to 75kg-90kg, up and down, perkilo they will get paid is Rp. 1.000 ( one thousand rupiah ) x75kg so one day are miners will get paid is Rp. 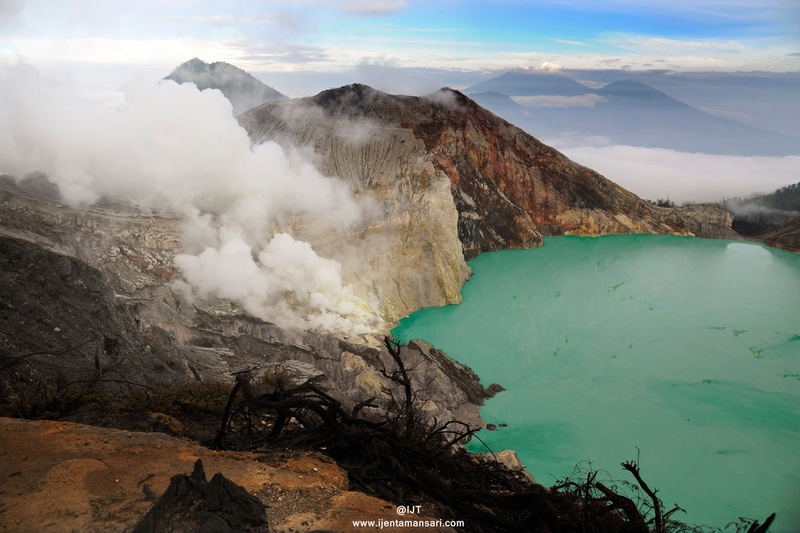 75.000 ( seventy five thousand rupiah ). 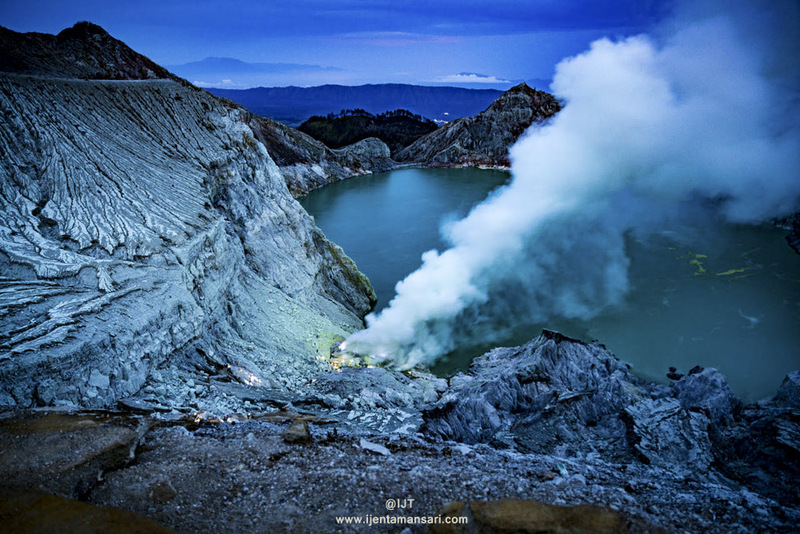 - Ijen Photography Tour 4D3N , 3D2N, 2D1N.